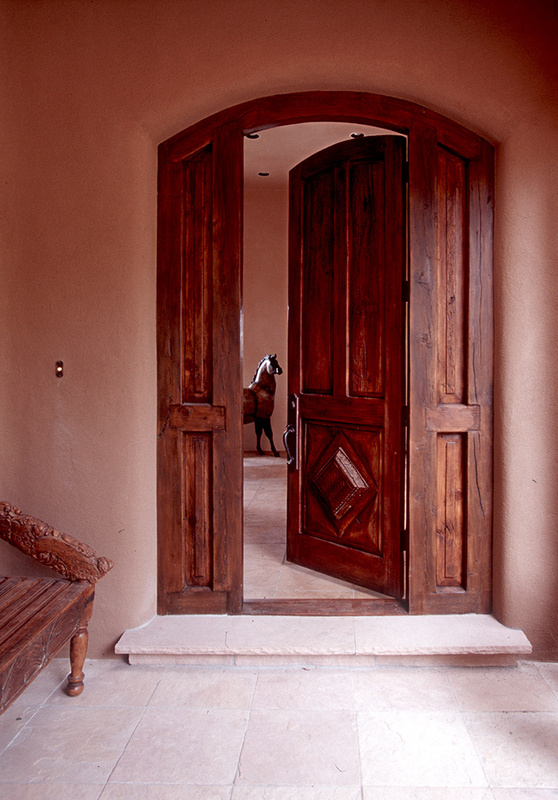 This custom front entry graces a local Santa Fe home. 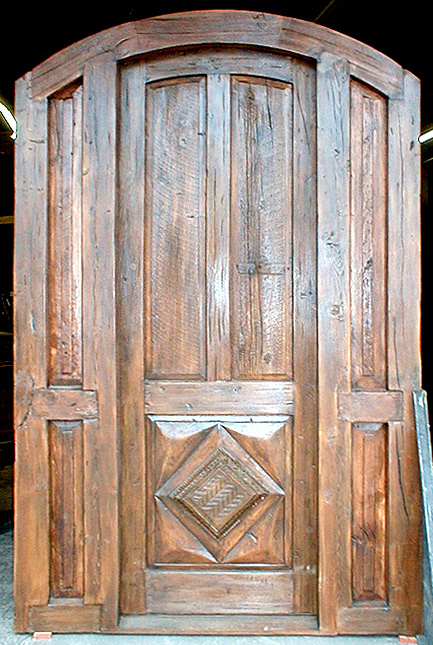 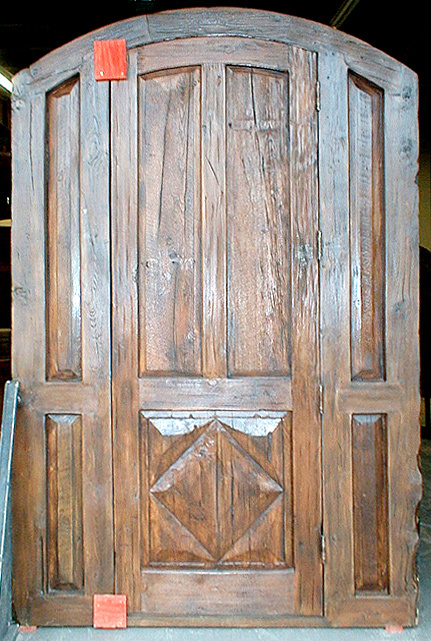 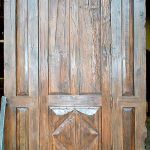 It is crafted from antique doors and salvaged lumber. 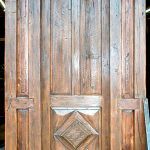 In addition to the carved panels accenting the front and back of the door, there are solid sidelights flanking the entry.